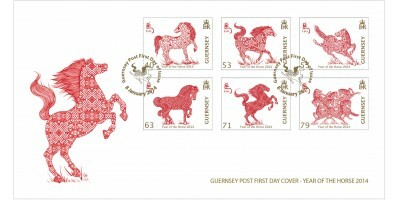 40p – With his head facing backwards, the horse is reminiscing on the previous year, whilst his raised front leg signifies his readiness for the year ahead. The cloud pattern is one of the oldest pat.. 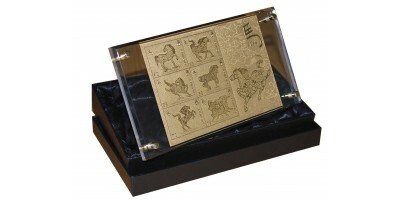 The Gold Foil Souvenir sheet is produced in 24 carat gold (99.9% pure) and mounted inside an acrylic display stand with a numbered certificate of authenticity.For those of you who would prefer to..
Also known as the spring festival, Chinese New Year is the oldest Chinese festival and the most important celebration in the Chinese calendar. 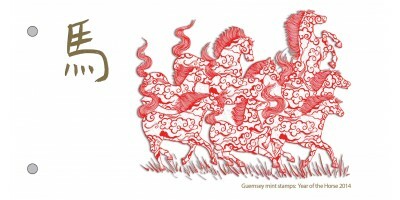 It signals the start of new life and the season of ploughing and sowing. 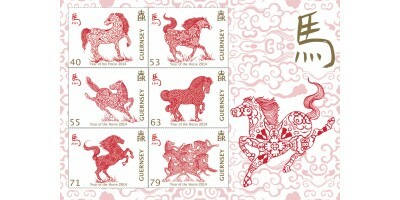 Chinese months correspond with the lunar calendar; the first day of Chinese New Year is always between January 21st and February 21st, coinciding with the first new moon - the darkest day - between these two dates. 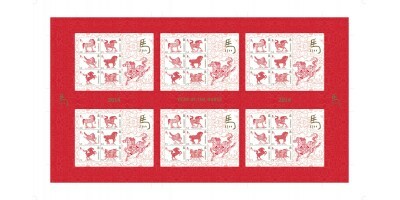 The Sheng Xiao, also known in English as the Chinese zodiac, is a system which relates each year in the Chinese calendar to one of twelve animals comprising rat, ox, tiger, rabbit, dragon, snake, horse, ram, monkey, rooster, dog and pig. 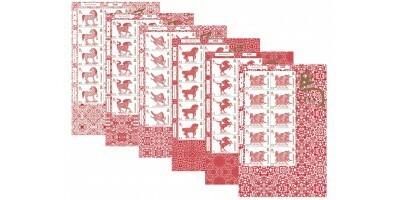 In several East Asian countries the scheme remains popular and some believe that people born in a particular year will have some of the characteristics of the animal. 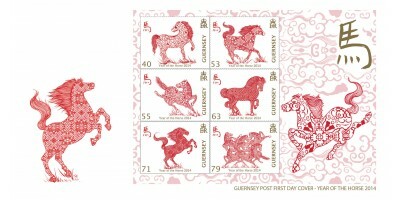 31 January 2014 marks the start of the next Chinese New Year when the animal sign will be the horse. 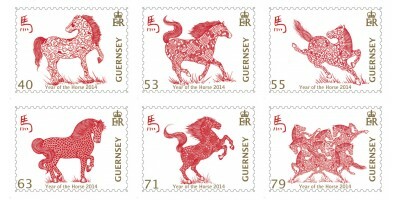 For 2014 it is the Year of the Wood Horse and, according to the Chinese zodiac, people born in this year will exude strength and stability, which is reflected in the strong designs of our stamps.